The Business Model: What is the SDA? Bernie Smith: SDA is the Shop, Distributive & Allied Employees’ Association. We were founded in 1908 and today represent over 200,000 Australians working in retail, fast food, distribution and modelling. TBM: How did models come to be welcomed into the SDA? BS: Our models division was once a separate organisation that merged with the SDA in 1991. The Models and Mannequins Guild of Australia was originally founded in 1960 by [lawyer and activist] Barbara Permezel. She single-handedly set up the Guild and saw that an Award [industry-wide minimum standard] was created for models. Modelling was not an occupation when the first Awards were made, so Barbara had to apply to the Commission to create one and argue for minimum standards. It’s still in force today. The Guild carried on for three decades as a small independent union until it merged with SDA, the much larger retail and distribution union, in 1991. TBM: Who is eligible for membership? SDA: Anyone working as a model in Australia can be a member, including runway and photographic models and people doing promotional work. TBM: Models are considered to be freelancers/independent contractors, which is the oft-cited reason why unionizing is impractical. Did this pose a challenge to the SDA? BS: I wouldn’t say it is impractical. Truck drivers, electricians, plumbers and construction workers all have high rates of union membership even though most are independent contractors. The Union just has to think differently about how to reach them. Independent contractors don’t have the same rights as employees but they still have other legal protections, [such as] payment for work done, safety and health, freedom from sexual harassment, etc. Very few models would be aware of what these entitlements are and even fewer would speak up if they were being exploited. Union members are usually better informed but it has been very difficult for the SDA to sign people as members because they do not retain an employment relationship either with a particular employer or a particular place of work, rather they are employed from assignment to assignment so it’s hard to reach them in their workplace which is where the SDA normally organises members. When they are employed on a job-to-job basis people may not want to stand up for their rights for fear of not getting work on the next job. TBM: How many models are SDA members? SDA: It’s hard to say because most joined in their retail job. We estimate a few dozen. In the last few months a Sydney designer/agent [was] charged with assaulting two models during photo shoots (after complaints by many others). Unfortunately models on various Facebook groups share stories that show this is not an isolated incident. The one good thing that came of the case is that it was an empowering experience for the models involved, who raised awareness through Facebook and collectively voiced their concerns to get a fair result. The person who instigated the social media campaign against the designer/agent, is one of our members. TBM: What are the costs/benefits of membership? SDA: Anyone who works only in modelling pays $3.95 per week. The main benefit of membership is access to the union’s information, advice and assistance with workplace rights. We also work for safer workplaces including providing group insurance for accidents on the way to work. Because we are a large union we also have a range of membership services and benefits ranging from half price movie tickers to eduction scholarships. TBM: Have you received any resistance or criticism from agencies, clients of models, or models themselves? SDA: No and we are hopeful that established agencies will work with us constructively for better regulation as shonky operators give the whole industry a bad name. TBM: Is membership limited to Australian nationals? SDA: We encourage anyone working in Australia to become a member, whatever their citizenship. TBM: Can the example of the SDA offer lessons that may be applicable in different countries? SDA: Maybe that any models union, being small, would benefit from being in an alliance with or part of a larger union and thus having access to its resources of legal and communications resources. The UK is the same; models there are represented by a division of the actors union Equity. TBM: Would you say that Australians are generally receptive to the efforts of organized labour? What about the Australian Government? SDA: Australians are fairly receptive of the role of unions and the idea of a fair go. The challenge for unions is to have access to workplaces to ask workers to join. The current Australian Government is often hostile to unions and questions the legitimate role of unions in workplace regulation. TBM: Do you think this is a step in the direction of greater regulation of the Australian modelling industry as a whole? SDA: Yes we certainly hope so. There’s a long way to go. 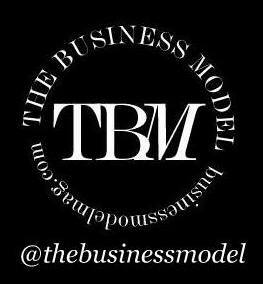 TBM: What other developments would further help models in their workplaces? SDA: Positive developments we would love to see are: Industry or regulatory accreditation of modelling agents to weed out scammers; ending the practice of unpaid work, including lengthy castings that don’t result in a job; a code of practice to create a comfortable work environment for models and minimise the risk of sexual harassment taking place. And for the longer term: making modelling work more regular and reliable so that models are paid enough to make a living out of it whilst being treated with dignity and respect. To learn more about The Shop, Distributive & Allied Employees’ Association New South Wales Branch, visit their website and find them of Twitter @SDAUnion, Instagram @modelsguildau, and Facebook.